Unlike other checkride preps, this one will both prepare you by presenting both general checkride questions and also questions specific to the Cessna 152 that you fly so that you'll be superbly prepared to impress the examiner. 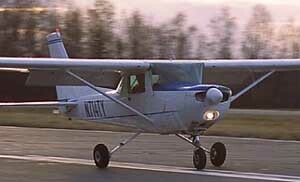 Remember: aircraft systems questions are a key component of any checkride. Please do give it a try (free download).